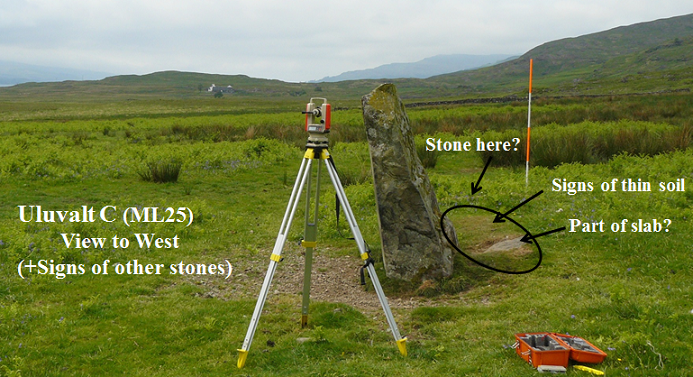 An obvious single block standing stone 1.9m. x 0.8m. 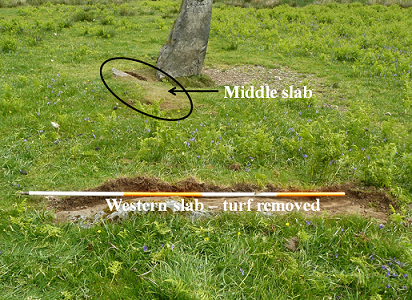 x 0.6m. 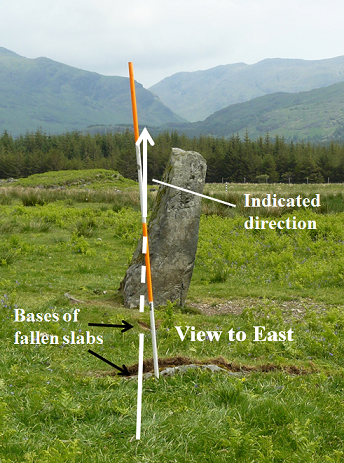 It has been thought to be a waymarker for medieval pilgrims travelling to Iona (RCAHMS and Ruggles 1984) and therefore not prehistoric. However inspection showed otherwise. 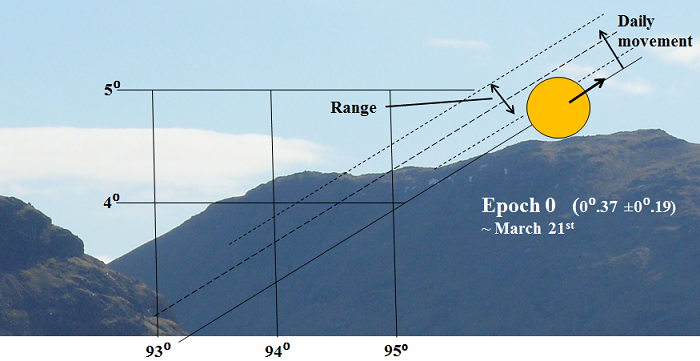 Measurements showed alignments for the equinoxes; Epochs 0 and 8. In both of the above the sun would be hidden behind the ridge at the proposed equinox declination. 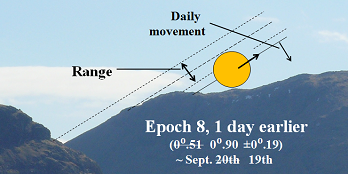 The sun would be visible above the ridge a day later for Epoch 0 and a day earlier for Epoch 8 as shown below. 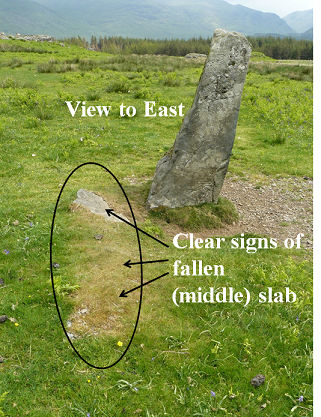 However this would negate one of the important megalithic calendar features that would appear to be correct. 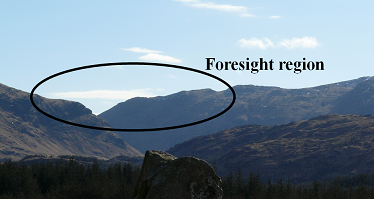 Namely that the same foresight/backsight would serve for two Epochs, the evidence coming from Thom's histogram reproduced in the Introduction. This idea is further explored in the Discussion.